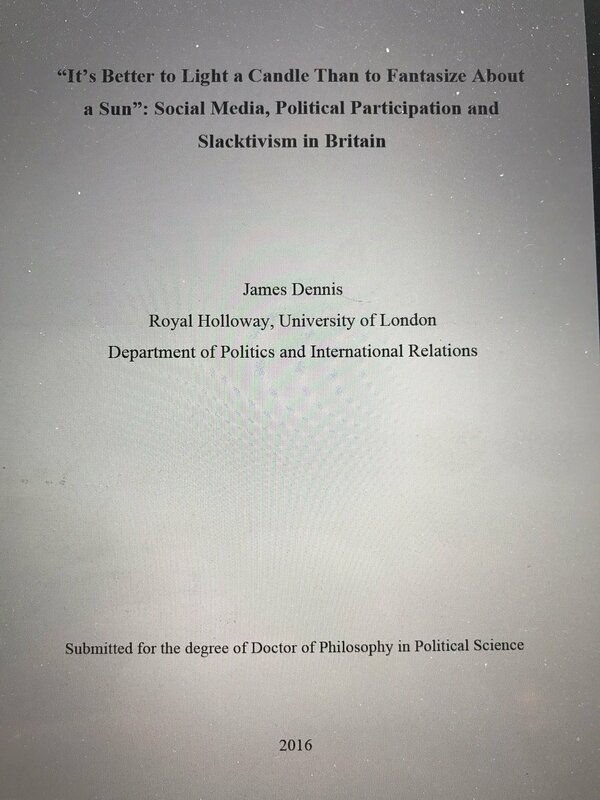 James Dennis has won the best PhD thesis award 2016-17 by the American Political Science Association's (APSA) Information Technology and Politics section. Dr. Dennis is now Senior Lecturer at the University of Portsmouth's School of Journalism. His thesis was supervised by Professors Andrew Chadwick and Ben O'Loughlin. Award panel member Ben Epstein added it was 'A theoretically, methodologically, & substantively rich dissertation'.